It's been a while since our last transmission, but MK2 is pleased to announce a new site, with new features, and a new Memekast featuring all new material from Mochipet! 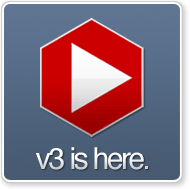 Yes, we are proud to be launching Version 3 for 2009! What's new? Well, we're introducing some new features, and will be rolling out a bunch more over time. Some of them are little things; like threaded comments so you can have a conversation instead of leaving just comments, and an updated home page so you can always see what's new and featured. Some are a little more involved; like a 5-star rating system for episodes, and user favorites. You can even stalk your friends, to make sure you always know what they're up to on the site! Of course, you'll have to be logged in to access those features (did we mention user profiles? ).